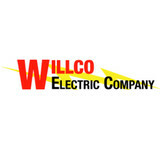 Willco Electric is a FULL SERVICE ELECTRICAL CONTRACTOR. We provide a professional high quality electrical service to homeowners, business owners as well as general contractors. 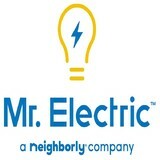 We can handle all of your electrical needs, Residential or Commercial, large or small, new construction or service. We are a proud member of the IEC Independent Electrical Contractors ,National Association of Home Builders and Green Screened. Piedmont Electrical Services is an electrical contractor that has been in operation since 2000. Drawing on a wealth of experience and training for over 30 years in electrical work of all kinds, we are optimally positioned to give our clientele a more complete electrical service. With our time-honored commitment to client care, the Piedmont Electrical Services team acts quickly to put our client's mind at ease and provide electrical services that are completely adapted to meet their specific needs. Our team has built a strong reputation for timely, safe and reliable electrical solutions, designed and implemented with a view towards maximizing a home or business' energy efficiency and bringing a home or business' electrical grid fully up to code. We combine experience and expertise in a wide range of commercial and residential electrical applications into an electrical service designed to maintain the highest safety standards and optimize a home or business' electrical performance. Our sales are generated by "word of mouth referrals", our website, advertising in the local newspaper and local telephone books. Our company solicits local phone numbers geographically to our service area, which are forwarded to our main office in Forsyth, GA. We are an authorized'dealer for sales and service for Generac. 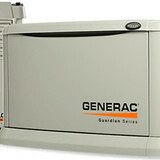 We participate in the Power Play program, which produces leads provided to us by Generac, for new generator sales, maintenance, repair and warranty service calls. MISSION STATEMENT: Maintaining our dedication to expand our capabilities within our industry (or) with electrical technology, we will establish relationships with our clients by exceeding their expectations and gaining their trust through exceptional performance. By increasing the efficiency of our operation, we can heighten the standard of excellence we have set in the industry. Serving with character and purpose will bring honor to our team members and our community. Ozburn Electric is an experienced group of Certified and Licensed Electrical Contractors that are dedicated to quality and excellence in all that we do. Whether its heavy industrial electrical in a factory, commercial retail lighting in a shopping center, or illuminating a backyard near you...Ozburn Electric is the company you can count on. We have been providing, new construction, maintenance and repairs, as well electrical installations in Southeast Metro Atlanta for over 25 years. Our main office is located in Covington, GA. We serve Newton, Rockdale, Walton, Dekalb, Gwinnett, Jasper and Morgan counties. Powell Electric & Lighting, Inc. Residential and Commercial electrical and lighting services. Thomas Electrical Contractors stands by the quality and safety of all of our electrical practices in hopes to brighten the future for proper and efficient power usage. We aspire to ensure every job is not just the benefits of labor but an investment in the power of tomorrow. When a job is done right not only is it an accomplishment for Thomas Electrical Contractors but for everyone who benefits from the final product; power is for all of mankind not just the electricians. Licensed electrician / electrical contractor in Thomson, Ga. Serving McDuffie County and surrounding communities. Bucket Truck service available for out of reach projects. Working with electricity isn’t generally a do-it-yourself kind of task. Small jobs, such as swapping out a lightbulb, are safe and easy enough, but intensive electrical work is better left to a professional Milledgeville electrician. When you consider the things that can go wrong, from fire to serious injury, hiring an electrical contractor seems like a wise investment. If you’re in need of a residential electrician in Milledgeville, GA to help get your household’s electricity in tiptop shape, read the following information to help you find the most qualified professional for your job. What do licensed Milledgeville electricians do? An electrical contractor plans, installs and repairs wiring in structures. He or she works closely with the home’s general contractor or remodeling contractor to determine the specific electrical needs for the project and to ensure that the wiring will meet Milledgeville, GA building codes. An electrical contractor’s job also includes installing and repairing fixtures, switches and other visible components of electrical systems. With today’s technological needs and advances, many electricians in Milledgeville, GA also are trained to install fiber optic and coaxial cables for electronic equipment. Certain electrical companies may design and install data systems and wire for security features such as alarms too. Some Milledgeville electrical contractors specialize in specific areas, such as HVAC, low-voltage appliances and systems and more, so be sure to ask about their training to see if it fits your project needs. Find a certified Milledgeville electrician on Houzz. 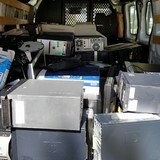 Narrow your search in the Professionals section of the website to Milledgeville, GA electrical contractors. Here are some related professionals and vendors to complement the work of electricians: Lighting Showrooms & Sales, General Contractors, Solar Energy Contractors, Heating & Cooling Sales & Repair.